Belize?! Sounds foreign to you? You may wonder what it is. Correct! You guessed it right; it is a country in Central America, near the famous Caribbean islands. Are you dreaming of a place where sand, sea, and sun are abundant then this is the place to be. There are a number of reasons why you must see the beautiful country of Belize. 1. Belize is not overcrowded with travelers. In 2009, there were just 231,249 foreigners that arrived by air according to the Belize Tourism Board. For the tourism board that figure means a challenge but for you it means you must go now! 2. Money exchange is not a problem. The Belizean dollar is the local currency, even though US dollars are widely accepted in the area. The exchange rate is frozen by government in $2 BZ to $1 U.S. Money conversion is relatively easy should you choose to pay in BZ dollars. 3. There are lots to try and do in this place. In fact, Belize has 7 World Heritage Sites. Their barrier reef is considered the 2nd longest barrier reef on the planet. The country additionally claims more than 1,060 mangroves. Some of these mangroves are inhabited like Caye Caulker, others are home to native and migratory birds, however don’t worry there are lots for you to travel around. 4. But there is also lots of NOT to do. If you want to spend your day in a hammock, it is recommended to visit Pelican’s Pouch in October. Just do nothing other than be hypnotized by the sound of the waves or just drifting in and out of sleep. 5. You can get around the country without Spanish because English is Belizeans’ lingua franca, since this was after all at one time a British territory although, you can still hear Creole, Spanish, or Quiche spoken by members of Belize’s various cultural communities. 6. Belizean people are friendly to strangers. They always say “Good morning”, “Good afternoon” and even “Good night.” It is said in this place you’ll meet more people willing to chat with you than in New York (although I don’t know that is a good comparison). They are nice here. 7. In Belize, there is always a huge event in the offing. People start to flock in July for Belize International Film Festival, in September there will be Carnaval and Independence Day. When October comes it is the Taste of Belize and Garifuna Settlement Day in November. 8. Eating fish is a way of life for the people of Belize. Fish makes up a meaningful part of the Belizean diet. It is the centerpiece in most of the dishes here. It is said that fishermen must sell their fresh catch with at least 2 inches of skin visible so that their potential buyers will know what fish they are buying and that it’s native. 9. Definitely worth a try is their native hooch. They turn their native fruits into wine like grape fruit, rice, star fruit, and cashew. It is said that among these fruits, cashew is the most potent one. It can give you a 3 day hangover. 10. It’s simple to get around the country because most major highways are in excellent condition. Although Belize has big jungle there are occasional pockets of human life that you will see along the way. Road to Belize is very attainable since they are safe, toll-free, and void of military checkpoints. And we can’t forget Belikin beer. This is the only beer you can find on Belize (although they also have Guinness licensed and it is there, too) so it’s a good thing the beer tastes good. 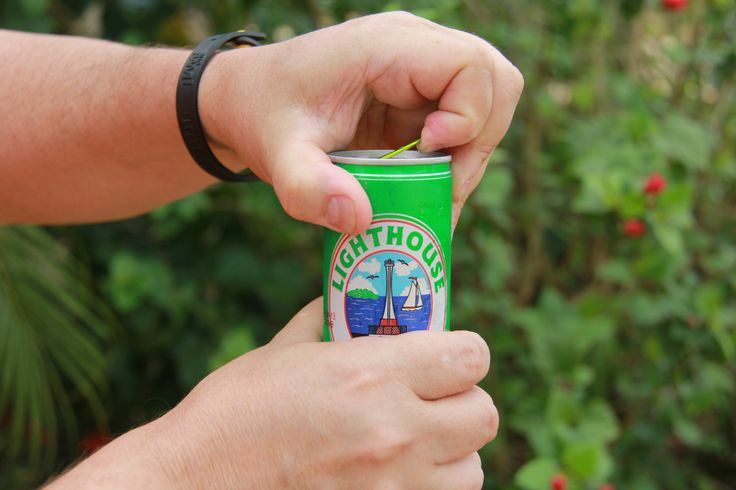 There are different varieties from the light to the dark and all worthy of best beer in the Caribbean. Do not forget Belikin beer at your next stop, Belize.